"This really is the complete guide to today's film industry. Right up to date, but with a real understanding of the journey that the industry has taken to get here. Comprehensive and well researched; erudite and very readable. Quite simply the book that all practitioners and industry players alike have been waiting for. Many, I suspect, may pretend to themselves that they know it already, but privately will keep the book near at hand for constant reference and self assurance. I know I will." "This book successfully accomplishes what many others on the same topic have failed to do. It not only captures the excitement of the international film industry, but it also delves deeply into its structure and practices. The author uses to full advantage his first-hand knowledge of the film business to develop a comprehensive analysis that will have enduring value for both film insiders and readers that are fascinated by this industry." "At last a book for the professional practitioners of filmmaking but accessible to the interested layman. The business of film, past, present and future, are researched in meticulous detail, helpful case studies and valuable personal observations. The book is full of insights into the digital age of distribution and production with a road map for the future development of the film business. 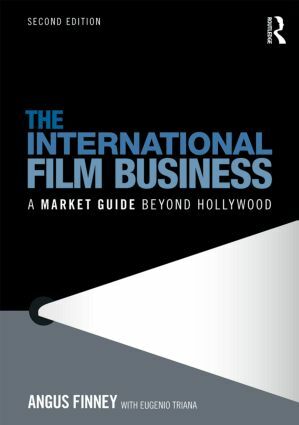 If you are going to buy one book on the international business of film, this is it!" Angus Finney is a course director at the London Film School’s and Exeter University’s MA in International Film Business; and a visiting lecturer on film and media businesses at Judge Business School, Cambridge University; Royal Holloway, University of London and Bath Spa University. He works with the UK’s Film London, Creative England, Film Agency Wales, Creative Skillset and the Film Distributors’ Association as a course director and trainer. Outside the UK Finney works with the South African National Film and Video Foundation, the Canadian Media Producer’s Association, the Irish Film Board and has also worked for the Abu Dhabi Film Commission as a trainer and consultant. He is Film London’s Project Manager for the Production Finance Market and was Managing Director of Renaissance Films (1999-2005). His previous books include: Developing Feature Films in Europe: A Practical Guide (1996), The State of European Cinema (1996) and The Egos Have Landed: The Rise and Fall of Palace Pictures (1996). Eugenio Triana has an MA in history from Trinity College, Cambridge University, and an MSc in Film Business from Cass Business School, City University London. He previously acted as researcher for The International Film Business: A Market Guide Beyond Hollywood (2010) and has worked in film production (Celtic Films, Tiger Aspect, Apollo Media).